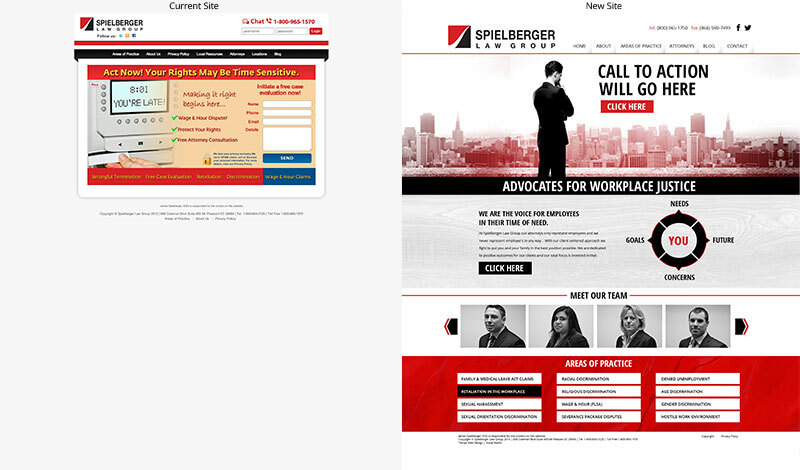 Spielberger Law Group came to Visual Realm for a facelift and overhaul of their current site. Check out the before and after pictures. To contact Visual Realm for your new website, graphic design, logo design or marketing click here.